An additional administration will be offered in August 2019. *Please note that state law requires any student who would like to receive credit for a course without prior instruction complete the exam before the date the course begins. For example, if the second semester of a course begins January 8, the exam for that second semester course must have been completed prior to January 8. With a new tradition, Dr. Malone is honoring a student from each class as Student's of the Month. The criteria is simple... being a good person and contributing a positive attitude to our climate and culture. These students were nominated by their teachers for the month of April 2019. 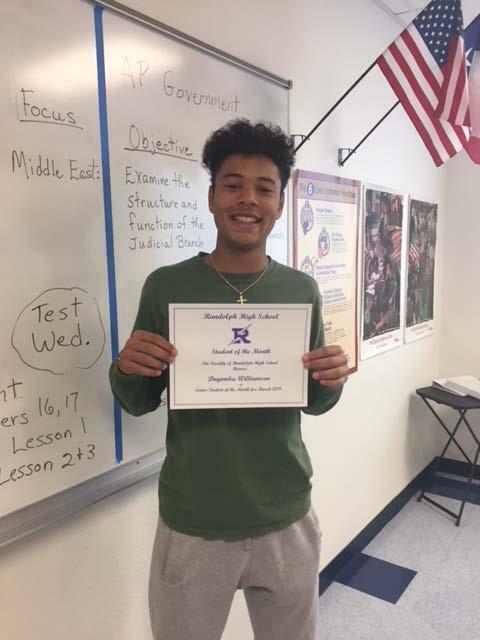 Senior Class - Dayondre W. Junior Class - Kaylee K. Sophomore Class - Mackenzie W. Freshmen Class - Grace C. Dr. Malone will treat them to lunch off campus and they received a Student of the Month Certificate. Congratulations to all of our winners! 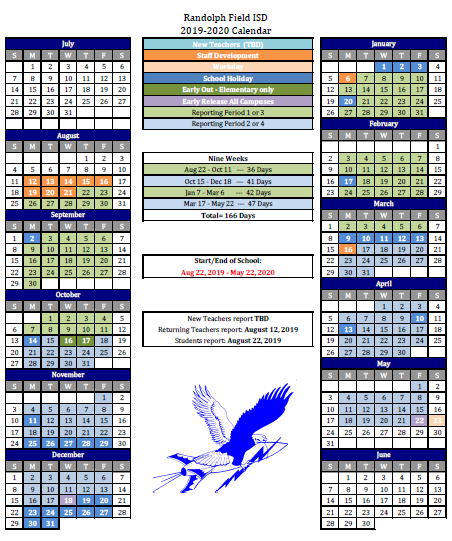 Last night, the RFISD Board of Trustees approved the adoption of the 2019-2020 district calendar. Click on the "Read More" link to download a copy of the calendar. A student survey will be conducted between February 18 and March 1. The survey is being conducted to help RFISD best serve the social-emotional needs of our students. Please see the attached file for information regarding the survey.